Jack lives with his Ma in Room. Room has a single locked door and a skylight, and it measures ten feet by ten feet. Jack loves watching TV but he knows that nothing he sees on the screen is truly real – only him, Ma and the things in Room. Until the day Ma admits there is a world outside. The Other Typist by Suzanne Rendell. It’s Prohibition Era in America and the police in Brooklyn have been tasked with closing down the speakeasies that have sprung up around the district. To help with the extra workload a new typist is hired, the charming and beautiful Odalie. At first, Rose, the narrator, is a little jealous of the attention Odalie receives from all quarters, but when Odalie decides to befriend her, Rose quickly falls under her spell. Even as she realises that Odalie might have some dark secrets, Rose can’t resist the new and exciting lifestyle to which Odalie has introduced her. But Rose herself may have secrets too – or else why would she be narrating the story from an institution…? Keira Knightley has bought the films rights to The Other Typist apparently – I think she’d make a great Odalie…or maybe Rose! Exposure by Helen Dunmore. When fading Communist spy Giles Holloway falls drunkenly down his stairs and breaks his leg, he must somehow get the Top Secret file he has “borrowed” back to the Admiralty before anyone notices it’s missing. So he turns to his old friend and colleague Simon Callington for help. The brilliance of this story about spies and traitors rests largely on its excellent charcaterisations and authentic setting. But what really makes this book stand out from the crowd is the inclusion of Simon’s wife and family. It’s also a highly intelligent twist on The Railway Children, where we see the story from the adults’ side. Sebastian Faulks’ Jeeves and the Wedding Bells. Modern follow-on novels notoriously usually make me spit and curse. But Faulks has got the overall tone completely right and the dialogue, especially between Bertie and Jeeves, is wonderful! Scarcely a false note, throughout. 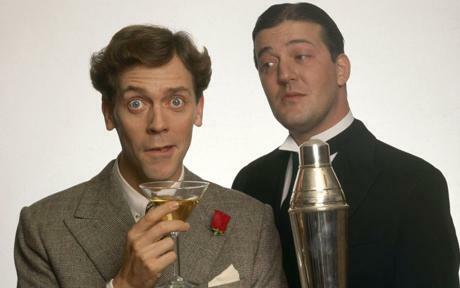 The plot is suitably convoluted, we meet some old friends and the special sunshine of Wodehouse’s world is back to warm us all again. Jeeves considered. One could almost hear the cogwheels of that great brain whirring as he selected the mot juste. It was a pity that, when it came, it was one with which I was unfamiliar. ‘Hmm.’ While unsure of the difference, I was fairly certain neither was quite up to snuff. So Donoghue to Faulks, via captivity, débuts, the Prohibition era, Mia Farrow, betrayal and Giles! 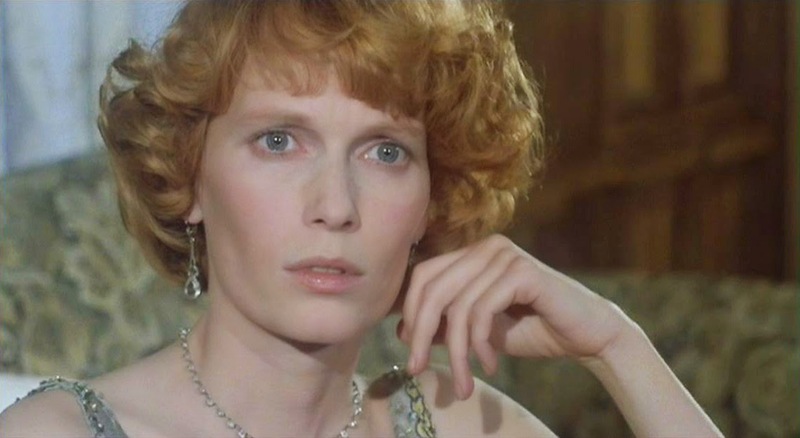 I agree with you about Mia Farrow being the perfect Daisy – and I loved her in Death on the Nile as well… one of my favourite Poirot adaptations. I too have found it impossible to pick up Room or even watch the film. I’m slightly claustrophobic, so I’m really put off by the concept. Brilliant! I agree with you about Mia Farrow making the perfect Daisy. I also agree about Room. No desire to read that one! 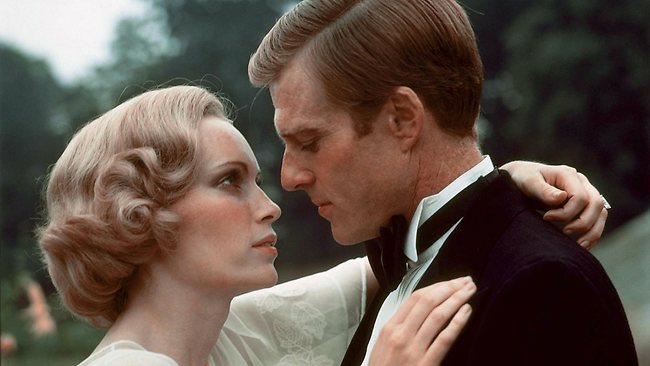 I love the way Mia Farrow portrays that vulnerability – she was perfectly cast for the role of Daisy, and of Jackie! Yes, I just don’t see the appeal of Room myself, but loads of people loved it… weird! The trouble with the 6 Degrees is that I always find more books I want to read! But at least I have read two of yours – Death on the Nile and The Great Gatsby. I have no inclination to read Room or watch the film – it sounds dreadful. I know! Plus I always end up wanting to re-read the ones in my own post too! I’ve re-read Gatsby fairly recently, but I now really want to re-read Death on The Nile and watch the film again… oh, dear! Yeah, I don’t understand the appeal of Room either, but so many people seem to have loved it… most odd! I am actually in the process of writing a review for Room.. and well I am struggling. I did not take away from it what so many others seem to have. To be honest, it felt very flat. Ah, yes, I believe a re-read of Death on the Nile is in order for me as well. Thanks for the reminder! And what a journey that was! I’ve actually put Room on the spreadsheet to read this month as it is one of the books that has been on the TBR for the longest- however it’s made it that far before! I loved The Other Typist, easily one of my favourite reads of the year and this post has made me want to revisit The Great Gatsby too – oh and a re-read of Death on the Nile is in order too!! I like how the genre diversified from thrillers to classics. I really liked Room. It was sad but it was my first book by a child narrator and I thought it was quite unique. I also need to read Never List. I recently read the author’s book, The Follower which I liked but I have heard that the first book was even better. I hope to get to it soon.